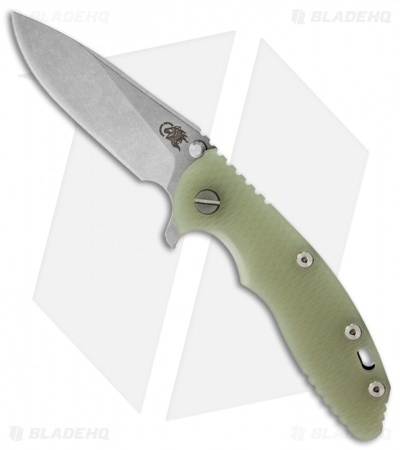 This XM folder has a 3.5" S35VN steel Slicer style blade with a stonewashed finish. This is the flipper model. 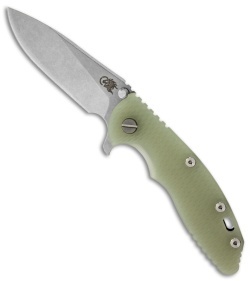 The handle has a translucent G-10 scale (front). 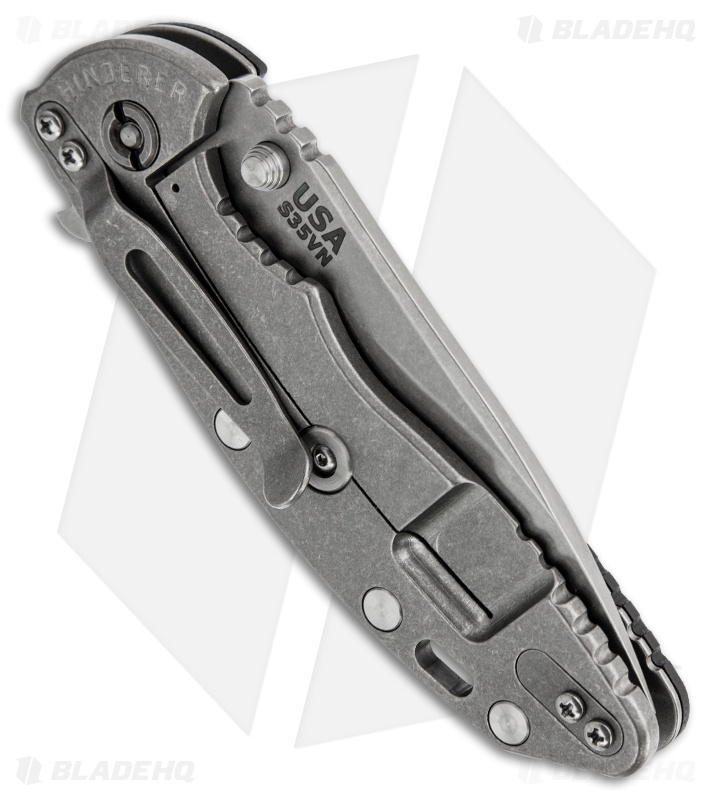 Tumbled framelock with Hinderer stabilizer and pocket clip.